That’s some album title ain’t it? I know what you’re thinking: ‘that’s a clever juxtaposition for an album of neon bright power-pop!’ Well, you’re an idiot. Regular readers, if they exist, will be tediously familiar with me writing about records I love as if i’m not entirely sure that it’s okay for me to love them. This time around i’m going to try something a little different, by writing about a record, or more accurately an artist, who I listen to a lot, but about whom I really can’t figure out how on earth I feel, let alone why. Perhaps writing about it, and her, will help me figure something out. Perhaps not. Let’s start at the top. Grouper is Liz Harris, a musician and artist from Portland, Oregon. She self-released her first album in 2005 and has been putting out music fairly regularly since then. I first came across her work when ‘Dragging A Dead Deer…’ placed highly in a number of end of year lists in 2008. I sought out her music, gave it some passing attention, and put it aside. ‘Too unpresent’, I thought. ‘Too insubstantial’. ‘Too deliberate in its constructed unknowability’ I didn’t think but probably could have if I’d tried. I still wonder all these things about this record, and the other four Grouper albums I own, but I no longer know whether these are reservations or recommendations. Ultimately the music would not be put aside. I found myself going back to it when I found that I needed it. I used it as a background wash for work, or just for drifting. I still found it naggingly incomplete, baffingly lacking in intent. I still didn’t think I liked it. But I wanted to know more about it and I kept playing it. Right throughout I found it easy to walk away from and, even when I stayed, I couldn’t recall the details of what I’d just listened to. I’ve been through a couple of attempts at listen to nothing but Grouper for an extended period, in a push to really get a grip on what she’s doing. It hasn’t worked. The music drifts away, parting like fog to let you pass through. The closer you try to get to it, the less substantial it seems. I owe you at least an attempt to explain what Grouper sounds like. Imagine gentle, haunting acoustic ballads, down-tuned, slow-moving and with the sort of infused melancholy someone like Angel Olsen captures in her gloomier moments. Now imagine those songs heard from the next room. Or a room just off the next room. The details start to fade. The piano takes on a felt-clad tone. Now imagine you record those songs from where you’re sitting, then play the tape back quietly. From the next room. Now you wonder whether that was a guitar in the first place, or the sound of a tree brushing against the window. Now, give that recording to Williams Basinski and let him put it through a half-cycle of his Disintegration Loops process. Then stick it out as an album with no lyric sheet, no context, no hint as to what or who this thing is, what it’s about, what it’s made of. Liz Harris’ voice floats like a spectre through the records. I’ve read reviews in which writers describe the beauty of her lyrics, detailing the emotional gutpunch of specific songs, of the records as overpowering conceptual suites. I have to assume they’re right, but I have to be honest: I can’t hear them, apart from a couple of snatches here and there (by which I mean a couple of snatches across the entire body of work). I’ve tried to listen closely, but they deflect. To me, this is the music of memory. The more you want to understand it, the more you want to capture it forever, the more elusive it becomes. However you think you remembered it, something different is revealed when you go back. Sometimes, these records seem genuinely to be pulled right out of memory. The last two albums, ‘The Man Who Died In His Boat’ and ‘Ruins’ are each comprised of left-over tracks and sessions from several years ago. And yet Ruins, on the face of it a collection of 8 part-songs recorded in an open room in Portugal in 2011, was one of the most highly regarded albums of 2014. I don’t know why it should have been, but I loved it too. One of the old saws of music enthusiasm is the record that seemed inpenetrable at first but then, after repeated attempts, suddenly revealed itself. Or, as the vernacular goes, ‘just clicked’. Let me tell you, Grouper still hasn’t clicked for me after several years and I wouldn’t be surprised if it never did. I really don’t know. Perhaps that’s part of the intrigue, the attraction, the inescapable pull. Grouper sounds like a graceful, lowing eminence calling through the mist, guiding us, hopefully home. Whatever I think about this almost unknowable music, I feel as if I need it in my life. 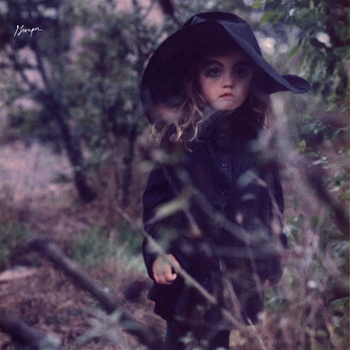 Nick listened: Grouper’s been a name on the outskirts of my experience for a few years, piquing my curiosity but never quite reaching that level of critical mass where you simply have to investigate. So when Rob suggested he might bring Grouper along to a future meeting some time ago, I eagerly encouraged him. A number of different artists sprang to mind (or, rather, slowly insinuated themselves to mind; ‘sprang’ is far too jaunty a verb here): the slow motion ambience of Stars of the Lid; the other-worldliness of Julia Holter; the remembering-someone-else’s-song nostalgia of The Clientele. But while I can name all of those artists as being things that Grouper reminded me of, I can’t really remember anything about the actual record. Maybe because we talked over it – as we are wont to do – or maybe because of the intangibility of the music itself. Or, most likely, a combination of the two. So I’m still intrigued to hear Grouper. Tom listened: This was excellent. Really disorientating, muffled to the point of total obfuscation…the opposite of the album I brought along really (in that Grouper seems to have a very clearly defined sound that is very much her own, whereas Aldous Harding has very clearly defined sound!). So whilst Dragging a Dead Deer Up A Hill reminded me, at times, of the quieter moments on Loveless where Belinda Butcher’s vocals kind of suffocate under the weight of the warped guitars, it was eerier and more pared down and, perhaps, more affecting as a result. I could really see myself obsessing over this album, trying my hardest to work it out but, as Rob has suggested, maybe this one would always prove to be just too slippery to fully grasp. Brilliant writing! I think I’ll revisit grouper again.